On Thursday, we woke up early because the weather warning had been lifted the night before and we hoped to leave. Of course, a new weather warning appeared so we spent an hour weighing the pros and cons of leaving. The wind was coming from the west (which would mean it would be right on our nose) but it was supposed to switch to the north east (which would be perfect for sailing to Woods Island). We decided to leave and take our chances! We spotted Dale from Tranquilium heading towards the Canso Locks and tried to radio him but he wasn’t answering. 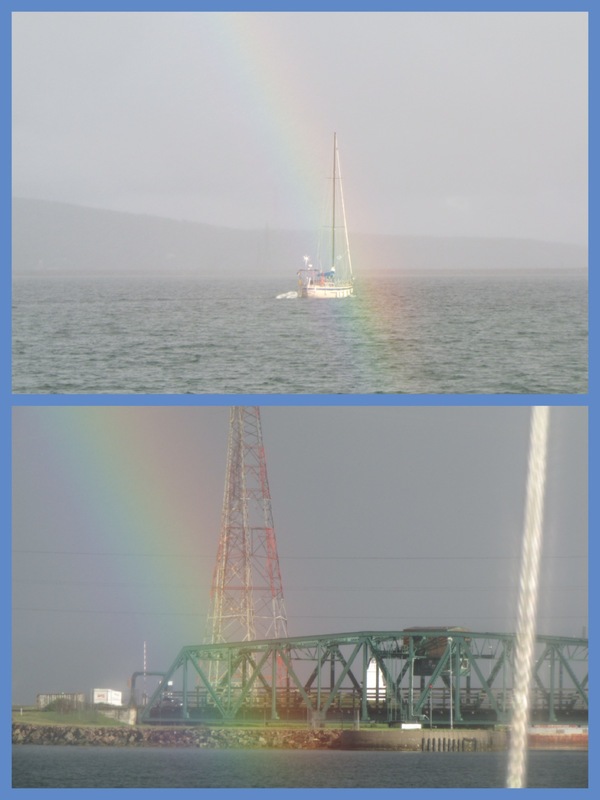 I managed to get some pictures of his boat in the rainbow. 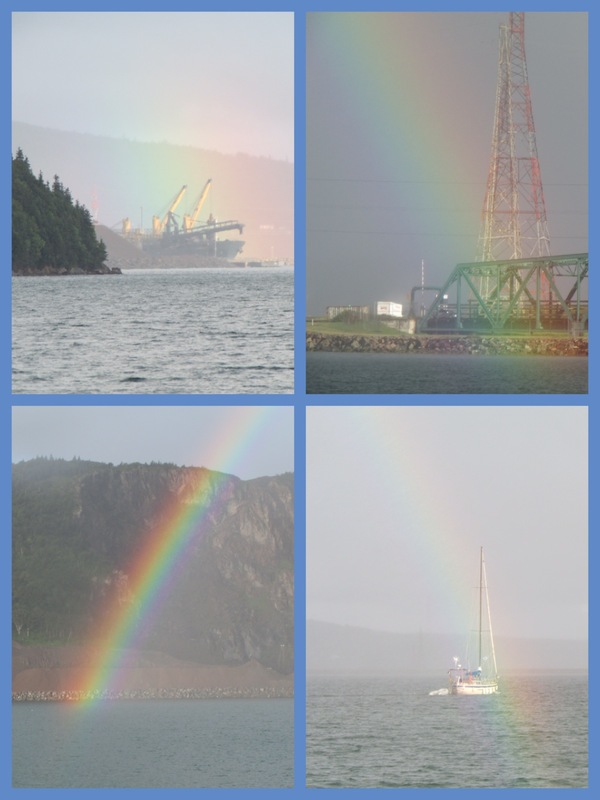 Here are some pictures of the beautiful rainbow that we saw as we headed into the lock. Once we cleared the lock, the waves picked up but it wasn’t too bad. We could have gone to Ballantyne’s Cove but decided to continue on to Woods Island. It was a long day! We got in to Wood Islands just after Crabby’s had closed so we didn’t get any lobster rolls! Hmph! (We have one more chance to get them on our way back to Souris). 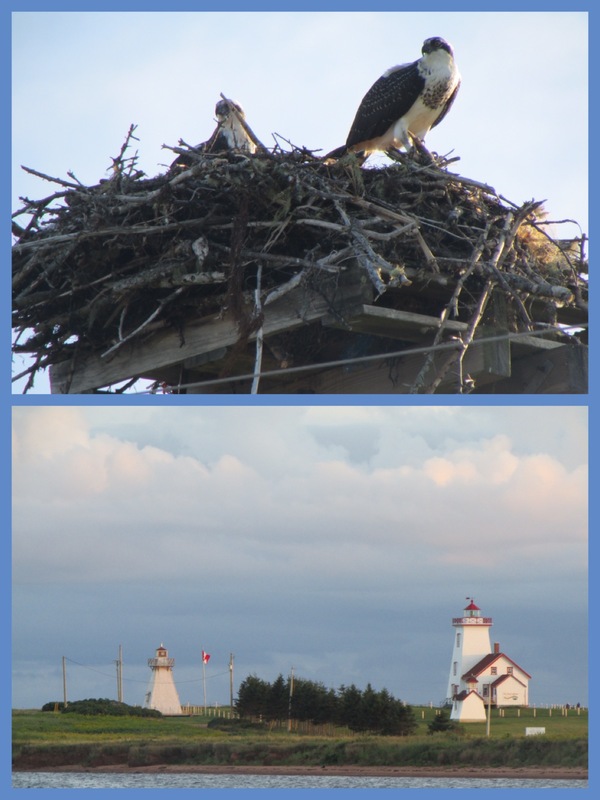 The next day, we headed out early again so that we could get to Summerside. We actually were able to sail most of the way. Here’s a video of us sailing under the bridge. So, here we are back in Summerside at our slip. Not much is new but we will be here for a week – probably until after Labour Day and then we will head up to Souris, put the boat up for the winter and come home. Here are a few pictures of some kids getting ready to jump in the St. Peter’s Canal and the Parks Canada lady at St. Peter’s. 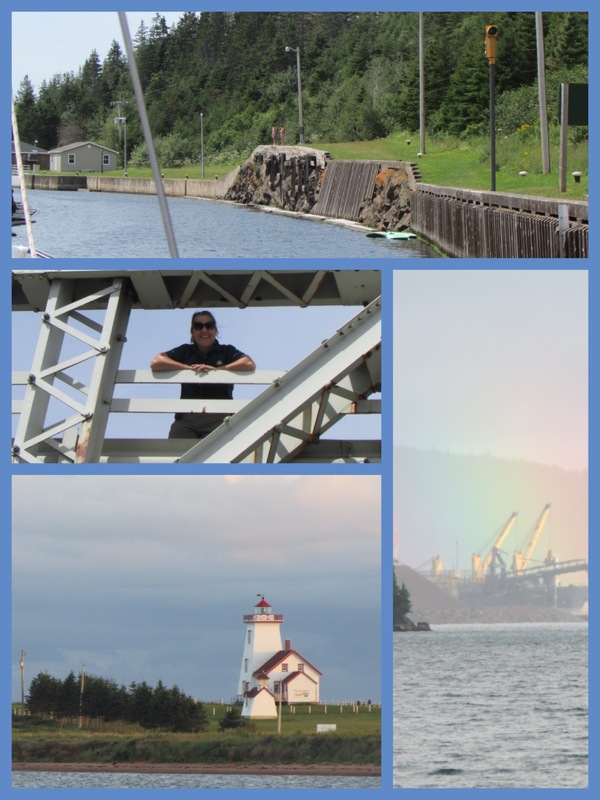 She’s the one that had to open the bridge and then race over to the lock to let us through as well as another picture of the rainbow, the ospreys (all grown up) and the lighthouse at Woods Island. How much space did you have between the mast tip and the bridge? The video makes it look spectacularly close! Trick photography? ?